Use our Master Party designer to create the party of your dreams! An Art Zone Master Teacher leads your group to help each guest create a Masterpiece on a canvas, t-shirt, or motorized art masterpiece! We bring out our fanciest materials, and customize your party with a stylized theme. + Let us know your dream art party and we’ll make it come true. Includes three projects: Masterpiece Canvas Painting, Jeweled Treasure Box, and a Masterpiece Clay Table – all with our fanciest materials. Many substitutions are available to customize your theme. 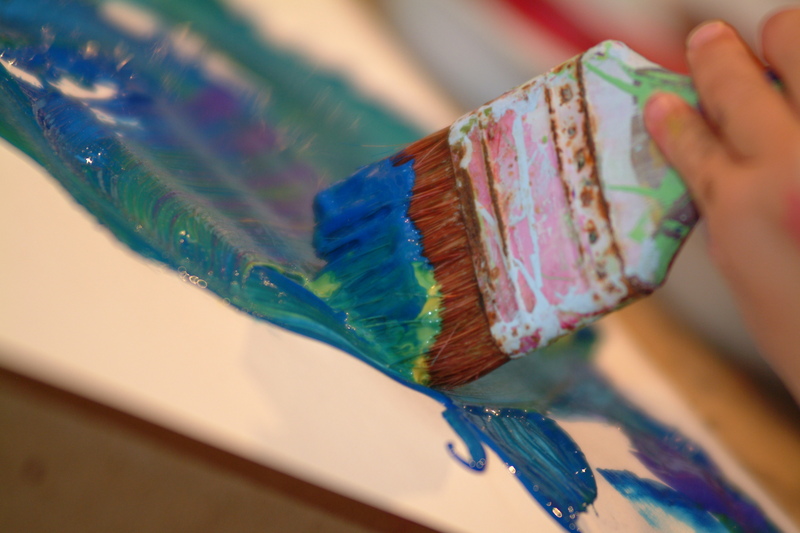 Also includes unlimited easel painting, goo table, dress up and playhouse and our famous water room. Call (310)318-6011 to place your $100 non-refundable deposit to hold your party date and time. 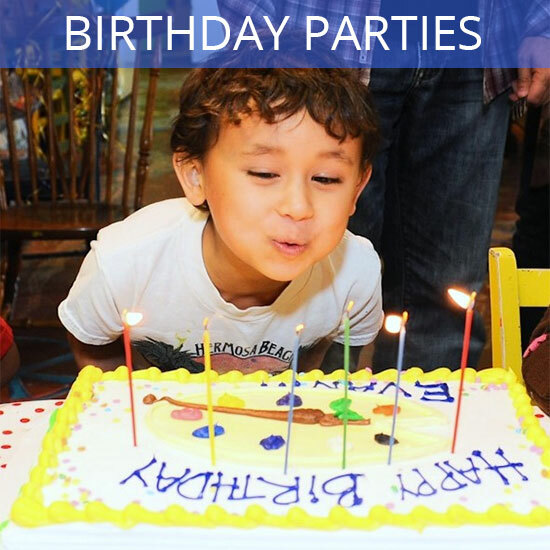 20 – 25 kids (plus adults) is the the maximum recommended party size. Adults are free. 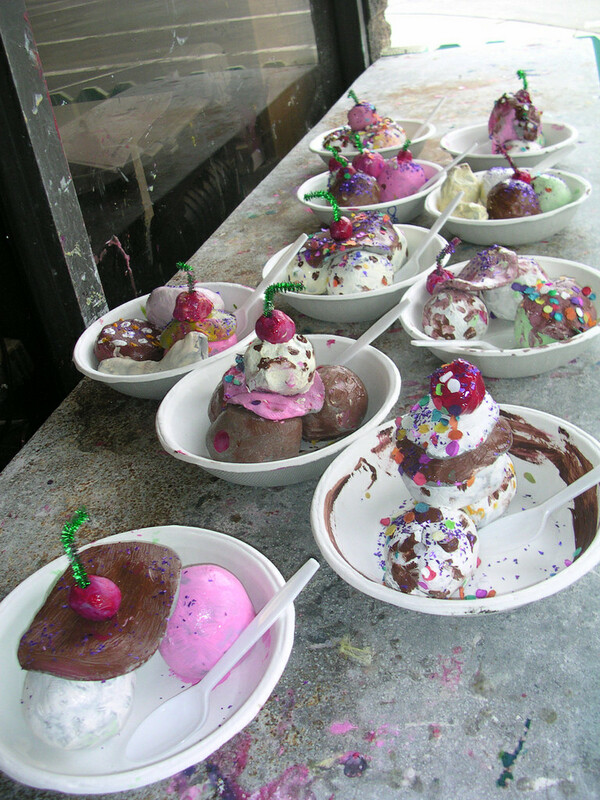 Our most popular party! Each guest will be invited to make and take home three amazing art activities including: Clay Activity Table, Paint & Glue Birdhouse, and Glitter Rainbow hand-prints. Many project substitutions are available to customize your party. 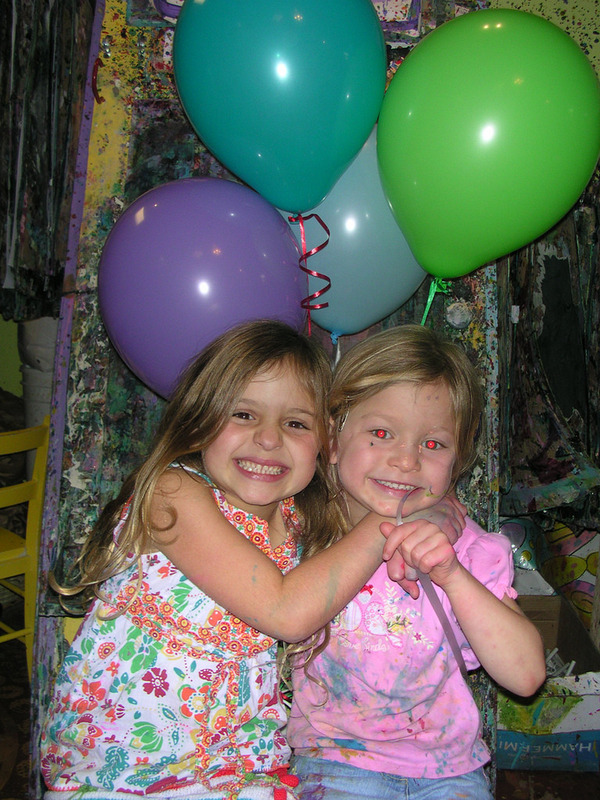 Art Zone Craft & Clay Party also includes unlimited easel painting, goop table, play house and dress up, and our famous water room. The maximum our studio hold is 25 kids. Adults are free and all adults are welcome. $425 for 10 kids, plus $10 each additional child. Ask us about our Discount Parties during the week (and selected weekend slots) starting at $225 for 8 kids, plus $15 each additional child. 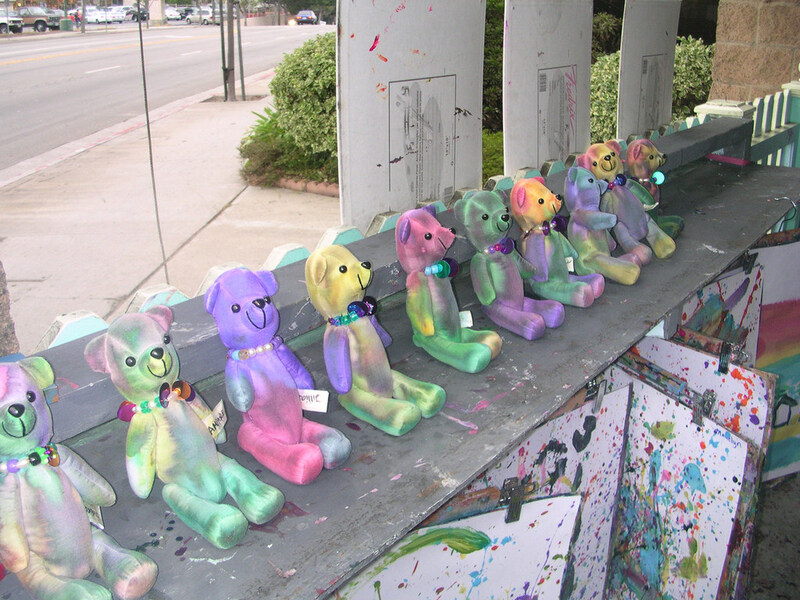 Want to bring the fun of Art Zone to your home or favorite park? 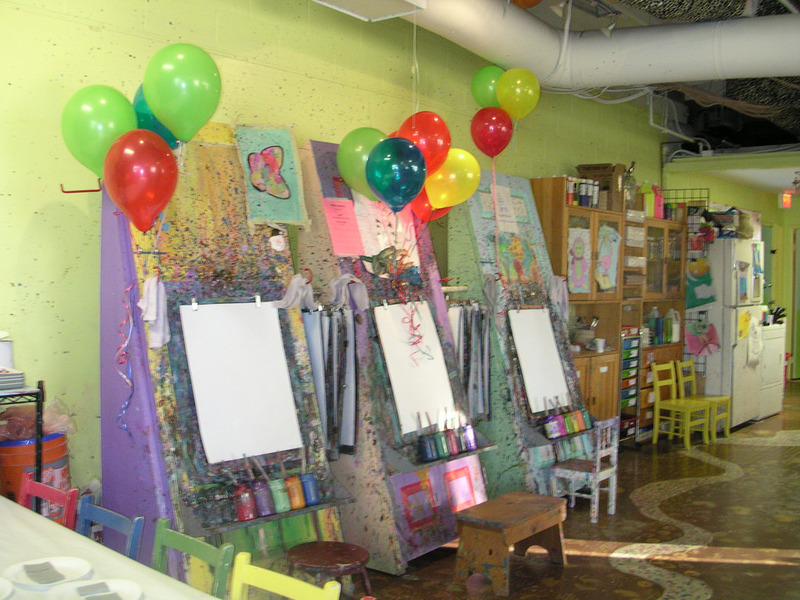 We partner with Corner of the Sky Pop-Up Art Studio for off-site birthday parties and events. Visit corneroftheskyart.com/artzone for more details!